View cart “E102 Quad Temporal Shifter” has been added to your cart. 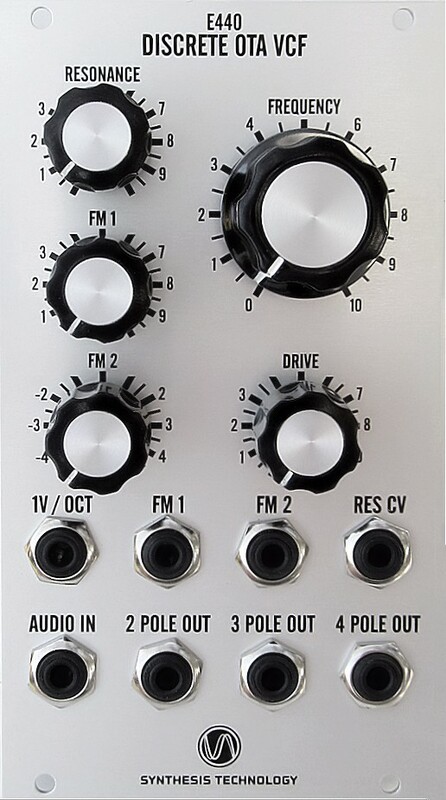 The synthesis technology e440 is a lowpass voltage-controlled filter with 3 simultaneous outputs. The input is any audio source (can be from line level to synth level) and the output is via the different slopes of the filter: 2pole (-12db/oct), 3pole (-18db/oct) and 4pole (-24db/oct). There are 3 CV inputs to control the cutoff frequency plus a separate CV input for the resonance. 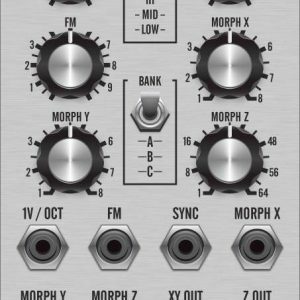 The e440 will self-oscillate at high resonance and can be used for a sine VCO (each output is phase shifted 45 degrees from the prior one) with 1v/oct tracking (trimmable) over a 4-octave range. This response is also temperature-compensated. 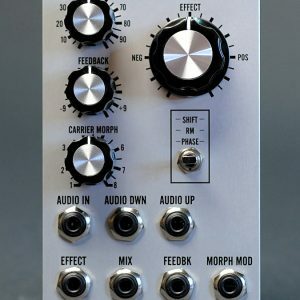 An external audio mixer module can be used to blend the 3 outputs into “in-between” slopes and by inverting them relative to another, different frequency responses. RESONANCE: amount of filter resonance. This knob setting is added to whatever CV is plugged into the RES CV jack. The filter will self-resonate (with no external applied CV’s) at the ~9 tick mark. 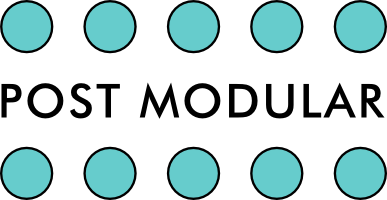 FM1: filter frequency modulation standard attenuator for whatever is applied to the FM1 jack. FM2: filter frequency modulation reversing attenuator for the CV plugged into the FM2 jack. The 12:00 (straight up) position is maximum attenuation: rotating CCW will add the inverted signal to the FREQUENCY control while rotating CW will add the applied CV. FREQUENCY: the cutoff (or self-oscillation initial frequency). The VCF will internally add all 4 CV inputs together to determine the filter’s cutoff frequency. The range is 20hz to ~ 18khz. DRIVE: this is a combination attenuator for the audio in and a booster amplifier (~2x gain). The filter can be over-driven to clipping (with a large voltage output swing, ~14v pk-pk). You can use this control to boost line-level signals as well. 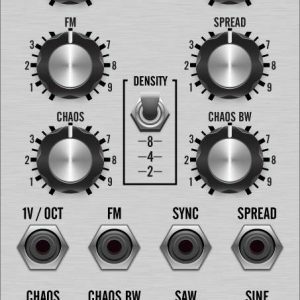 The unity gain setting is ~ ‘4th’ tick. CV inputs. The range of each input is -5v to +5v. FM1 and FM2 are on attenuators, while 1v/Oct and RES CV are not. Audio jacks. Audio in can be any level up to 14V pk-pk. The 3 outputs are the Lowpass responses. All 3 outputs share the resonance and cutoff CV’s. You will note that the relative levels of the 3 responses are slightly different, which is resonance dependent. This is just the nature of the electronics. The 4 OTA stages are not gain-matched and the filter caps are +-5%. This will cause each stage to vary slightly in gain relative to the others. Consider this part of the e440’s charm. CV inputs: -5v to +5v, dc to 10khz. res in is 0v (no resonance) to +5v (full resonance). Audio input: 50k nominal input impedance, 100mv to 14v pk-pk.